One common question from students first learning about series is how to know which convergence test to use with a given series. The first answer is: practice, practice, practice. The second answer is that there is often more than one convergence test that can be used with a given series. I will illustrate this point with a look at one series and the several tests that may be used to show it converges. This will serve as a review of some of the tests and how to use them. 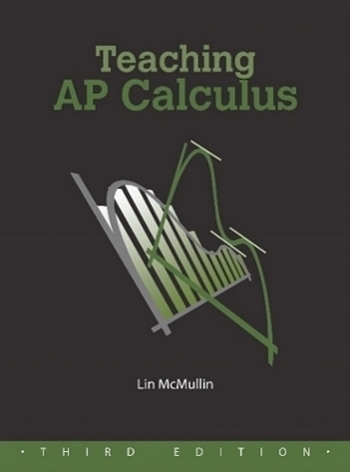 For a list of convergence tests that are required for the AP Calculus BC exam click here. To be able to use these tests the students must know the hypotheses of each test and check that they are met for the series in question. On multiple-choice questions students do not need to how their work, but on free-response questions (such as checking the endpoints of the interval of convergence of a Taylor series) they should state them and say that the series meets them. Spoiler: Except for the first two tests to be considered, the other tests are far more work than is necessary for this series. The point is to show that several tests may be use for a given series, and to practice the other tests. The Geometric Series Test is the obvious test to use here, since this is a geometric series. The common ratio is (–1/3) and since this is between –1 and 1 the series will converge. The Alternating Series Test (the Leibniz Test) may be used as well. The series alternates signs, is decreasing in absolute value, and the limit of the nth term as n approaches infinity is 0, therefore the series converges. Since the limit is less than 1, we conclude the series converges. The advantage of going for absolute convergence is that we do not have to deal with the negative terms; this allows us to use other tests. Applied to our example, if the series converges, then our series will converge absolutely and converge. The Geometric Series Test can be used again as above. The Integral Test says if the improper integral converges, then our original series will converge absolutely. The limit is finite, so our series converges absolutely, and therefore converges. The Direct Comparison Test may also be used. We need to find a positive convergent series whose terms are term-by-term greater than the terms of our series. The geometric series meets these two requirements. Therefore, the original series converges absolutely and converges. and since the series in the denominator converges, our series converges absolutely. So, for this example all the convergences that may be tested on the AP Calculus BC exam may be used with the single exception of the p-series Test which cannot be used with this series. While the convergence of the series used here can be done all these ways, other series lend themselves to only one. Stress the form of the series that works with each test. For example, the Limit Comparison Test is most often used for rational expressions with the numerator of lower degree than the denominator and for expressions involving radicals of polynomials. The comparison is made with a p-series of whatever degree will make the numerator and denominator the same degree allowing the limit to be found. Most textbooks, after explaining each test and giving exercises on them, include a series of mixed exercises that require all the test covered up to that point. A good way to use this set is to assign students to state which test they would try first on each series. Discuss the opinions of the class and work any questions that students are unsure of or on which several ways are suggested. Give your students the series above, or a similar one, and have them prove its convergence using each of the convergence tests as was done above. Divide your class into groups and assign each group the series and one of the convergence tests. Ask them to use the test to prove convergence and then discuss the results as a group. The limit comparison test must equal a positive real number in order to be conclusive. (Both series converge or both diverge.) In your example above, the limit = 0, which would mean the limit comparison test fails. (Otherwise, I could choose the series bn=n!, then lim n ->inf (1/3)^n/n! = 0, Sum bn diverges, therefore Sum an diverges…which is not right.) Please let me know if I have missed something here. I like the idea of having students do several different tests on the same series. I think it also reinforces that students need to practice and become efficient, recognizing which tests to use when. There are two corollaries to the Limit Comparison Test. One says that if the limit is 0, and the series in the denominator converges, then the series in the numerator also converges. The other says that if the limit is infinity and the series in the numerator converges, the the series in the denominator also converges. Not too many textbooks mention this; I found it in Rogawski Calculus second edition. I added it to the chart of convergence tests recently. Perhaps I should have chosen a different example. Ahhhh…it sort of combines limit comparison and direct comparison…I like this. Makes complete sense. Should have made sense to me before, but having never formally seen the corollaries (or at least not remembering), I didn’t even notice. Thanks! I appreciate your quick feedback!